Choosing a bath salts recovery center is a very personal decision. It’s important to pick a facility that’s a good fit for you and addresses any underlying mental health issues or abuse of other substances. Who Answers? today to speak with a treatment support specialist. If you choose an inpatient bath salts treatment center, you will be required to live at the location while undergoing treatment. An inpatient or residential treatment setting offers a more immersive, time-intensive approach to substance abuse treatment compared to outpatient treatment. Many inpatient treatment facilities provide access to around-the-clock medical care, if required. Initial assessment: Mental health professionals assess for mental health disorders and the nature of the addiction. Bath salts detox: Medical professionals monitor you carefully as bath salts or other toxins are allowed to leave your system, providing supportive care as needed. Length of stay: Program lengths include 30 days, 60 days, 90 days, or an individualized program with a customized length. Therapy: Group and individual therapy sessions focus on developing healthy coping skills and changing negative thoughts and behaviors. Aftercare: These programs include any form of treatment that occurs after you complete your initial treatment program. Aftercare helps to build on skills you learned in rehab as well as prevent relapse. Many people who suffer from an addiction to bath salts are unable to neglect their work, school or family responsibilities. Outpatient treatment programs provide clients with the freedom to still live at home while receiving treatment. Intensive outpatient treatment: These programs usually meet 3-4 days a week for 2-4 hours or more. They can include individual or group counseling and focus on relapse prevention. Narcotics Anonymous is a fellowship of recovering drug addicts that uses the 12 steps of Alcoholics Anonymous, adjusted for any drug addiction. 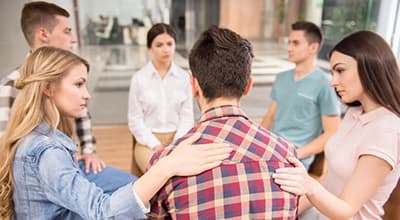 Group counseling involves participating in a group session led by a therapist. You discuss issues of addiction and recovery with peers who are going through similar struggles. Individual counseling includes meeting 1-on-1 with a therapist to uncover the root causes of addiction and working through the issues that led you to use. Many treatment centers specialize in dual diagnosis treatment, which addresses the issues associated with an addiction to bath salts as well as a co-occurring mental health disorder or an addiction to another substance. Research has revealed that individuals who abuse bath salts typically use at least one other drug besides bath salts. Additionally, bath salts are usually taken in binges in combination with other drugs. 5 This amplifies a user’s risk of developing a co-morbid addiction. You may have a mental health disorder before you develop a bath salts addiction, or the disorder may be caused by bath salts use. Either way, it’s crucial to receive appropriate treatment for both diagnoses. Otherwise, you run the risk of relapse. This model was designed to treat those suffering from a stimulant addiction. No formal research has been conducted on the efficacy of the Matrix Model for bath salt addiction. But since bath salts are a stimulant, it could prove effective. A therapist who acts as both a coach and a teacher. Therapy sessions that help nurture the person’s self-worth and dignity. These inpatient facilities, frequently set at resort destinations with a spa-like atmosphere, are more expensive than standard residential treatment centers due to the additional amenities they offer (hotel-like service, recreational activities, attractive location). An executive treatment center shares many similarities with private or luxury treatment centers. However, executive treatment specifically caters to those who can’t miss work while recovering from substance addiction, yet desire a higher level of care than outpatient treatment. Those undergoing addiction treatment in an executive program are able to work and communicate with clients throughout their stay. Bath salts rehabilitation does not have one set price. It varies based on what kind of treatment you feel is best for you. Outpatient treatment tends to be cheaper. This is because these centers aren’t residential. But they may not offer the level of care you need. Support groups are all free to attend. These include Narcotics Anonymous, SMART Recovery and LifeRing Secular. Inpatient facilities are more expensive. They offer around-the-clock care, medical treatment and residency. The cost of an inpatient treatment center also depends on whether you stay for 30 days, 60 days, 90 days, or develop an individualized residential period. The cost varies depending on which type of program you choose. 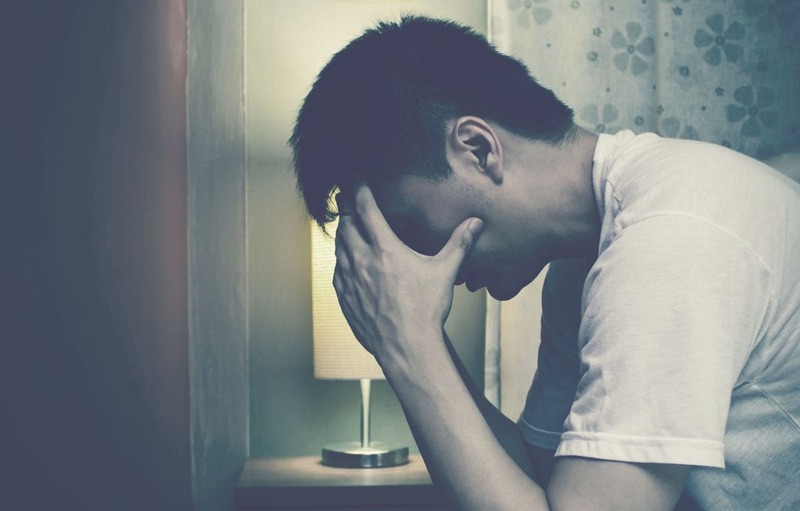 Many insurance plans offer full or partial coverage for drug addiction treatment. Turn to crowdfunding sites such as GoFundMe or IndieGoGo. Devise a payment plan with the treatment center to meet your financial needs. Apply for a loan specifically for health care costs. Apply for a health care credit card. The bottom line is that nothing is more important than your health and recovery. There are plenty of ways for you to pay for your bath salts addiction treatment, and most recovery centers are willing to work with you to meet your needs. Aftercare is any ongoing treatment and support that occurs after you complete bath salts treatment. Step-down or transitional living arrangements (e.g., halfway houses). Aftercare is a pivotal part of the recovery process, and many people find comfort in meeting with others in supportive environments. It’s important to know the signs of bath salt abuse in your teen. If your teen is abusing bath salts, it’s crucial you find him or her appropriate treatment that addresses bath salts addiction as well as any underlying mental health conditions or additional substance addictions. If your teen is suffering from a severe bath salts addiction, inpatient treatment may be the best option as it provides 24-hour care and the opportunity to escape from everyday triggers and urges. Teen Addiction Anonymous: A confidential, 12-step program that consists of interactive discussion and leadership. It works to empower teens as they are guided toward recovery. The SMART Recovery Teen & Youth Support Program: This is a non-12-step-based recovery program that focuses on science and empowerment. It works on the basis that the teen is the one in control of his or her behaviors and helps to facilitate positive thoughts, feelings and behaviors. If you are ready to take the first step and ask for help, our treatment representatives are standing by. To get help finding the best residential bath salts recovery program, call 1-888-319-2606 Who Answers? today.
. Aarde, S., Huang, P., Creehan, K., Dickerson, T., & Taffe, M. (2013). The novel recreational drug 3,4-methylenedioxypyrovalerone (MDPV) is a potent psychomotor stimulant: Self-administration and locomotor activity in rats. Neuropharmacology, 71, 130-140.
. German, C., Fleckenstein, A., & Hanson, G. (2013). Bath salts and synthetic cathinones: An emerging designer drug phenomenon. Life Sciences, 97(1), 2-8.